If you have never attended a training camp, feeling too inexperienced or not capable, then we can dispel any fears you may have – we will coach you properly with full attention to your development. 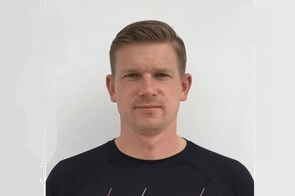 Martin is a Certified Trisutto Coach and a BTF Level 3 Coach; Matt is an ASA Swim Coach, an IRONMAN Certified Coach and has recently graduated as a Trisutto Certified Coach. 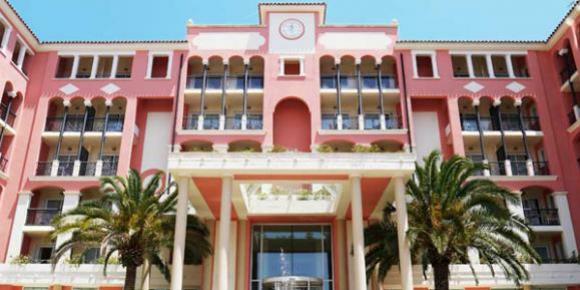 Bonalba Hotel located 30mins north of Alicante Airport which has direct flights from throughout Europe. We appreciate that every athlete is different, having different abilities and needs – we assess and evolve to cater for the requirements of the athletes, and so every training camp is different. Expect to learn, be challenged and have a great time! All Masters of Tri training camps are fully coached, every session, throughout the duration of the camp. With a high coach to athlete ratio (1:4) we create a relaxed environment so that you will never be left alone or wondering what to do – we will challenge you and you will learn how to train effectively – you will learn a lot about yourself and realise just how much you can achieve! We understand how to get the best out of our athletes – and this is reflected in the training at all our camps – we coach and guide athletes to understand what they need to do, how to do it and do it effectively – this means that sessions are effective. No session will be junk training – long/hard sessions for the sake of training; the sessions will be adapted to your needs to ensure you train in the most effective way. Coaching is individual and so there is no differentiation between abilities – sessions are tailored so that each athlete has an equally challenging training camp! 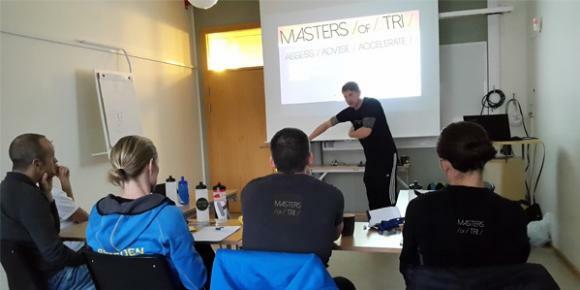 The Master of Tri training camps provide the athlete with a complete assessment of their current ability along with all the information needed to progress after the training camp has finished. Accelerate: combining the assessment and advice we lead the athlete to those gains they seek, both during the camp and for future development. We aim to provide all athletes with knowledge and motivation for development in the future, not just on the camp. - A Swim Video Analysis; each athlete is filmed with a HD camera from all angles whilst swimming and performs a timed swim for a full swim assessment. A swim video analysis then provides a full visual illustration of the athlete s swim performance (the analysis is fully recorded). Follow-up stroke correction sessions during the camp focus on specific Issues identified in the video analysis (and seminar) with comprehensive coaching of technique drills as well as the use of correct pacing (using the data from the assessment). - A Wattbike assessment of each athlete (included in Triathlon, TriEscape and Bike camps, or as requested/purchased on other training camps) will be the first bike session; each athlete will be set up and guided through a warm up and then conduct a standardised 3-minute test to establish heart rate and power levels for effective training. - A run assessment; where the Master of Tri coaches observe each athlete whilst running in their natural style, including video if necessary, will form the basis of the run coaching; feedback and potential changes will be made based on the observations. Data collected during the assessments is used for the coached sessions during the camp with athletes being guided towards optimising their performance. Swim sessions are tailored to stroke correction and pacing, bike rides and runs are guided and performed to self-assessed perceived effort levels guided by specific heart rate levels determined in the initial assessments. Mobility and basic strength sessions are also provided to complement the specific coaching. The practical coaching is comprehensively supported by a series of seminars held in our own private conference area within the Bonalba Hotel covering all aspects of training; each discipline is addressed including nutrition. All the individual assessment and findings are provided to each athlete at the end of the camp along with the knowledge on how to use it. The Master of Tri coaches will stay at the Bonalba Hotel throughout the camp so providing plenty of opportunities to discuss the finer details of training, including help on how to use the performance data. Discussions around planning a training programme, including milestone selection, are included so that each athlete will leave the camp with clear guidance for training in preparation for their future season. Masters of Tri coaches are also available to visit you at your home base if you have the facilities and interest for a tailored camp, no matter where you are in the world! By Air; Alicante (ALC) airport approximately 40 km – airport transfers are included in every camp. The 4 Star Bonalba Hotel, home to many pro-cycling teams when they visit the area for their annual training camps, is the main base for Masters of Tri. Situated at the heart of a golf resort, training camps provide full board accommodation with the benefits of all the luxuries you'd expect from a 4 Star Hotel. 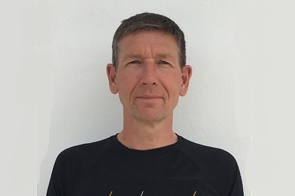 Swim coaching – including for the Swim, Triathlon, TriEscape and Swimrun camps – begins with an assessment of each swimmer with Martin and Matt observing to ensure that each session provides every swimmer with all the individual coaching needed to progress. Swim sessions are coached in the indoor heated Arena Alicante 25 metre pool, the best sports facility in Alicante, and less than 15min drive from the Bonalba Hotel, or in the pool at the Bonalba Hotel that has now been modified to provide Masters of Tri 2 lanes for coaching. Open Water coaching and swimming is held at El Campello beach which offers good safe waters for all levels of ability and is 10mins from the Bonalba hotel. 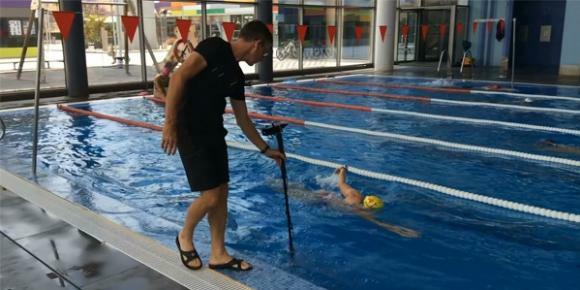 Martin and Matt are highly trained and experienced in advanced swim video analysis techniques using the latest technology to help swimmers of all abilities. If you feel you have reached a plateau with your swimming and struggle to make advances, a video analysis will take you to the next level by identifying the key areas for you to focus on. Not only will the session identify these areas but Martin or Matt will coach you through the appropriate techniques so that you know what and, just as importantly, how to perform them. 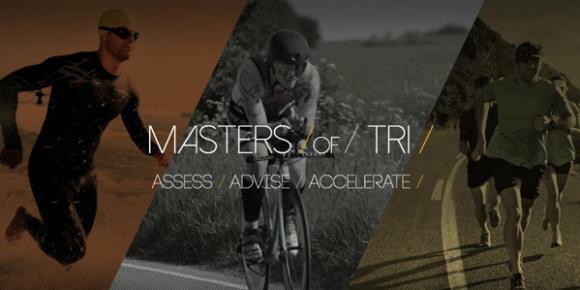 Contact Martin at martin@mastersoftri.com for more details. 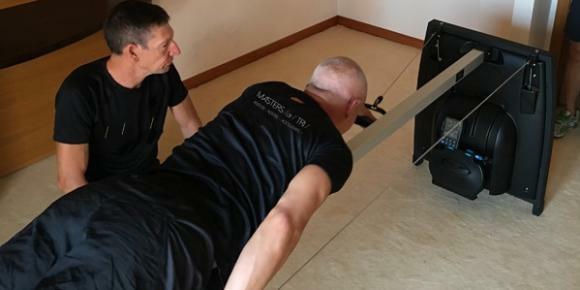 The Masters of Tri Triathlon, TriEscape and Bike camps start with an initial bike assessment on a Wattbike to establish training and racing levels – and ones that the coaches will use during the camp. 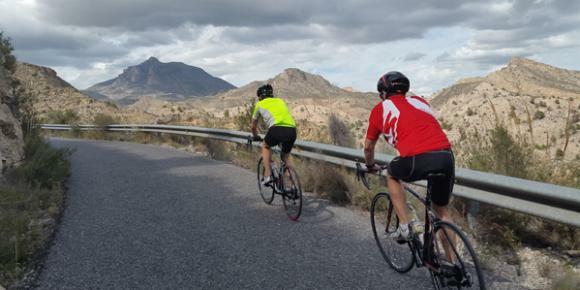 With the camps based at the Four Star Bonalba Hotel we have direct access into the local mountains and include riding famous climbs – many of which have featured in recent stages of La Vuelta, most notably in 2009, 2010, 2016 and 2017. A run assessment where the Master of Tri coaches will observe each athlete whilst running in their natural style, including video if necessary, will form the basis of the run coaching; feedback and potential changes will be made based on the observations. Runs will take place on the sea front at El Campello and on quiet local roads and trails around the Bonalba Hotel. A Vasa SwimErg will be available for dry land swim practice – swimming in a pool can complicate learning and technique focus. The SwimErg takes away the need to breathe and float(!) allowing the coaches to illustrate correct stroke mechanics and how to feel for this when back in the water. All Masters of Tri training camps are fully coached, every session, throughout the whole camp. With a high coach to athlete ratio we create a relaxed environment so that you will never be left alone or wondering what to do – we will challenge you and you will learn how to train effectively, learn a lot about yourself and realise just how much you can achieve! Swim, Bike, Triathlon, TriEscape and Swimrun training camps have generic schedules – although none are ever the same as each is tailored to the needs of the group before and during the camp. Comments: Enjoyed this amazing swim camp of Masters of Tri! A lot of fun, a lot of new things learned and a very nice stay at hotel Bonalpa in Alicante. Comments: If you only go to one triathlon training camp in your life, I would highly recommend Martin and Matt. I am a level 3 triathlon coach and head coach of a triathlon club and Masters of Tri ran a swim camp for my club. To say it was revolutionary would be an understatement. Even after one session, every athlete that I was observing had massively improved their stroke and was going faster. The technique taught is very simple and very effective and is one that we are now using at my club. If you want to get faster see the Masters. Comments: I have now been on two swim camps (September 2017 and October 2018) as well as a triathlon camp at Easter 2018. I cannot praise Matt and Martin highly enough. They have found an excellent balance of theoretical training and practical coaching, which has provided me with material improvements after each camp. The facilities they use, as well as the local geography combined with the small groups make for excellent training sessions. I am already looking forward to visiting again next year. Comments: Just returned from our second triathlon camp, again with bespoke, personal coaching. Martin and Matt gave us plenty to think about! They assessed us, and then fitted the training and coaching to our needs. They also educated us into being able to programme our training more effectively over the year ahead. A very positive experience...we will be back. Comments: Just returned from a long weekend swim camp which I would highly recommend. Learnt so much, Matt & Martin are extremely knowledgeable. The hotel and food was great and the training facilities available were excellent. The Camp has breathed new life into my swimming and given me a well needed motivational boost. Already thinking about returning for a Tri Camp, early next year. Comments: I attended a Tri-training camp in May 2018 with the goal to improve my swimming technique mainly. I enjoyed all the sessions which are run mostly at low intensity, but what really makes the difference are all the tips and advices given by Matt and Martin. Thanks guys, highly recommended! Comments: I had an Amazing time at the training camp. It exceeded my expectations and I am loving the swim strokes that I have been taught to enable me to progress in that discipline. Thoroughly recommend to anyone looking to get great quality training and assessment! 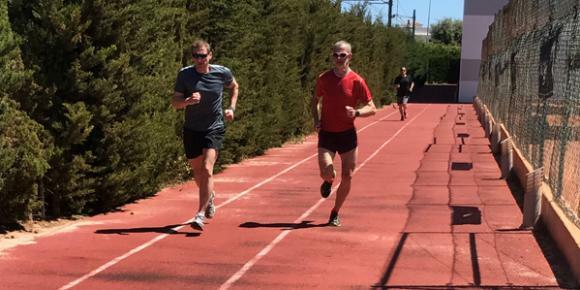 Comments: I found the Masters of Tri triathlon camp in Alicante, Spain, excellent. It surpassed my expectations! The training volume is perhaps on the low side but learning is incredibly relevant and helpful. Simple yet innovative way to learn how to have more fun training and meet ones objectives at the same time! On top of that great way to socialize and meet fellow athletes from the UK, Switzerland and Sweden to name a few. Comments: The 'Tri-Escape Weekend' surpassed my expectations. Martin's actionable changes to all 3 disciplines have given me much to improve on and have inspired me to reach for more out of the sport generally. The assessments are thorough, the atmosphere enjoyable and the location perfect. Highly recommended! Comments: Martin and the Masters of Tri team surpassed all expectations. Everything from the organisation and booking to the training was top class. Martin’s knowledge and techniques transformed the way I think about triathlon and the way I swim, bike and run. Each discipline was broken down and retaught, ensuring maximum efficiency and minimum energy loss. I can not recommend Masters of Tri enough. Comments: I was new to the sport of triathlon however with a solid background in athletics and I really enjoyed / highly recommend this bootcamp. The 3 main reasons: - The tailor made coaching - The well planned scheduling of the training load - The simplified / efficient approach to teaching new techniques On the personal side Martin and Matt are really nice people easy to get along with.